MSI has installed a RBR2050HT Tide and Wave Recorder at the Royal Yacht Club of Tasmania. 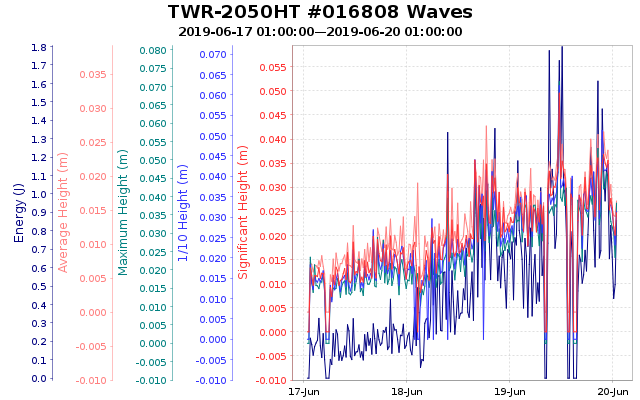 The data is telemetered every 10 mins via GSM (Iridium and VHF options available) and is then automatically uploaded to a dedicated website as shown below. 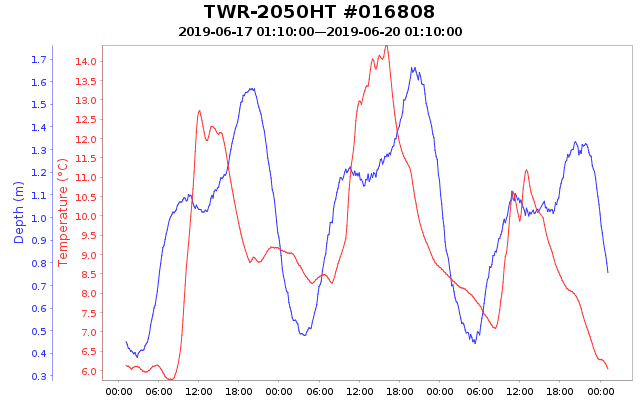 The data shown is water level (tide), wave (non directional) and temperature (taken inside the box) and as it uses a vented transducer, the data is therefore atmospheric corrected. This data is provided free of charge for demonstration / information purposes only.